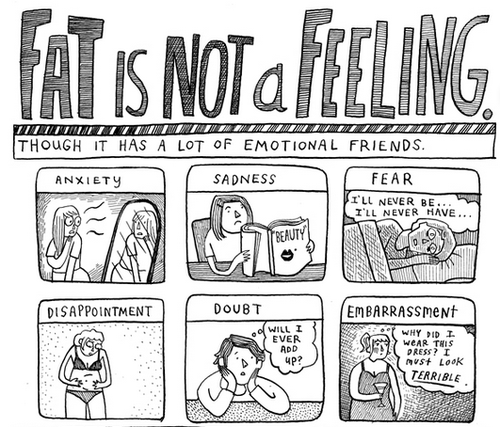 I don't know how many times a therapist of mine has told me "fat is not a feeling" over the years; too many to count. 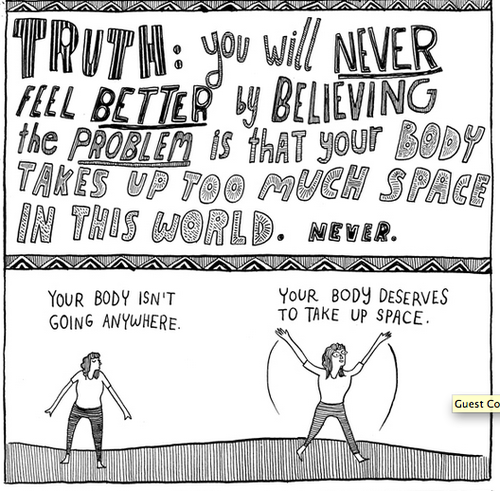 It is actually quite fascinating how many of us allow the way we feel about our bodies affect our mood for the entire day. 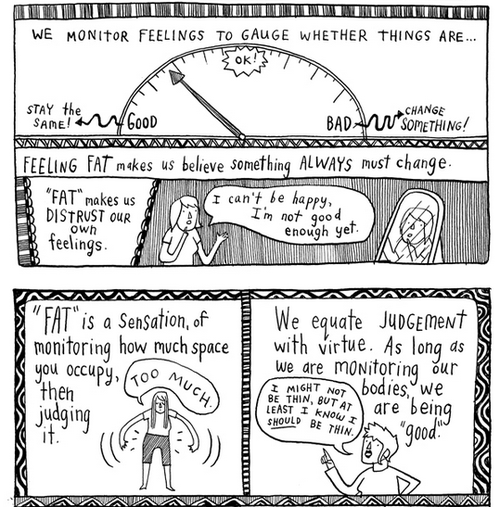 Fat is just a word to cover up whatever uncomfortable emotion we might truly be feeling. This quote is one I wish I would have had with me during the weight gain process when I constantly felt fat and needed a reminder that the uncomfortably full feeling DOES eventually pass (this quote can be related to any painful emotion actually). "Breathe. You’re going to be okay. Breathe and remember that you’ve been in this place before. 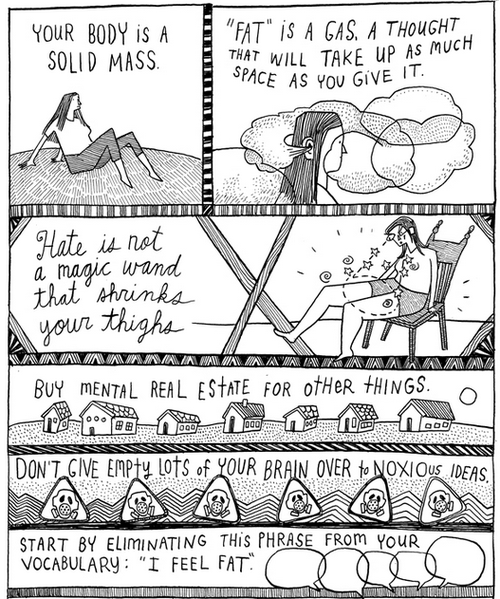 You’ve been this uncomfortable and anxious and scared, and you’ve survived. These feelings can’t break you. but you can sit with them and eventually, they will pass. This will pass. I promise it will pass." Looking back at my I Feel Fat post from last December (over 6 months ago already?? ), I can see a huge change in myself and the way I deal with those fat days. Some mornings while I am getting dressed, I still go through my entire closet and even then can't find anything flattering - but what girl doesn't have those days? Feeling fat used to consume my entire day, but I have learned that if I carry on with my day, like the quote says, those feelings do pass. This is perfect!! My therapist tells me this all the time... I defiantly need to keep telling myself that fat is only a feeling... its not something that deserves control over my entire life! Amazing strips! I love the message those pictures are sending through. I think a lot of young people are struggling with their self-image and the message you delivered on this post deserves to be read. Stay healthy and beautiful, Kelsi!